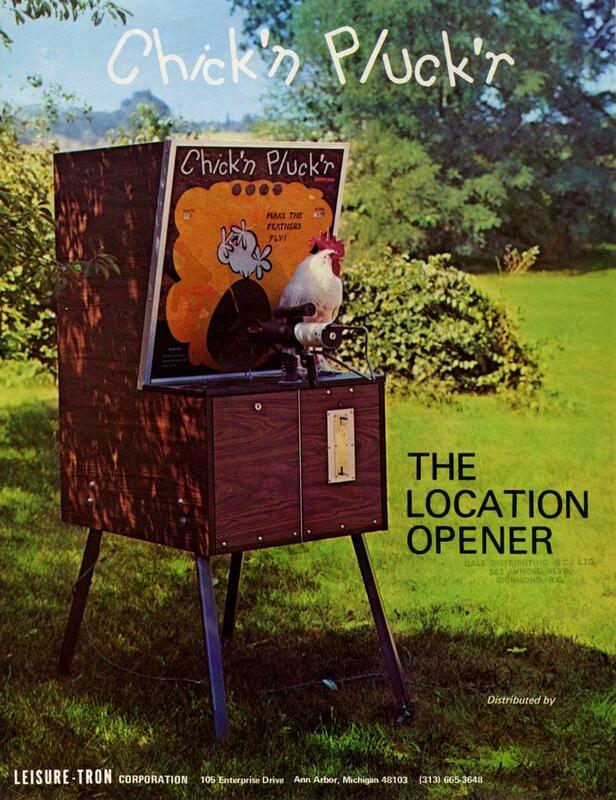 Description: Chick'n Pluck'r, Leisure-Tron (Ann Arbor MI), 1970s (exact date unknown). 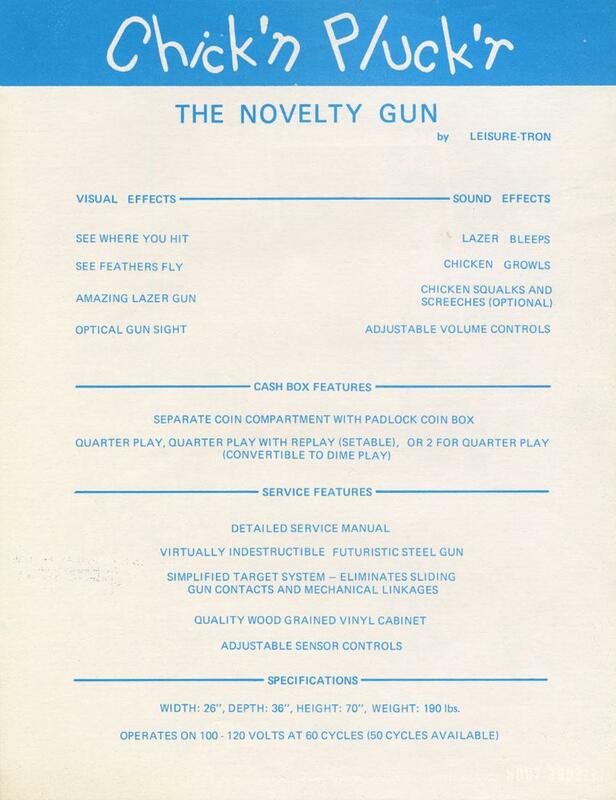 Uses a real laser as a ray-o-lite type device against photo-cell type targets (which can be tested with a regular flash light). The lasers reflect off mirrors to point at the targets. Very unique game and similar to their Space Lazer game.